Expressing his thoughts on Arab-Israeli dynamic, Professor Moshe Sharon says there is no difference between terrorists from Jenin or Ramle. 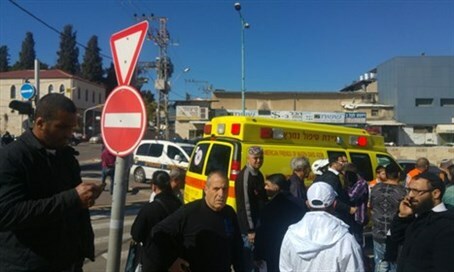 Moshe Sharon, the Professor Emeritus of Middle Eastern and Islamic Studies at Hebrew University in Jerusalem, pronounced there is no difference between terrorists from Jenin and teenage girls who carry out a stabbing attack in Ramle. "They are all terrorists. The terror of Israeli Arabs is no different than the terror of others," explained Sharon to Arutz Sheva. "We have been living with terror since the founding of the (modern) Jewish community in Israel. Nothing is new, there are simply highs and low." According to Sharon, we Israel suffers from "struck child syndrome." "Our media outlets are telling us that the Arabs are simply acting out because of Israeli 'occupation.' This is what psychologists term as the struck child syndrome. We are told that if we give the enemy what they want, then they will stop hating us. But that is not the case, the true cause of violence is simple hatred of the Jews." "There is a hatred of Jews which has no connection to any perceived 'conquered' lands or to any dialogue," he continued. "Arabs hate Jews and it is very simple to turn that hatred into terrorist actions." "When Muslims see Jews ruling over them, this is a desecration of the bond between Allah and Muslims, and it is therefore very easy to incite the masses to carry out attacks against Jews. An emphasis is placed upon the desire that Allah has for these actions and that he will open the gates of heaven for the perpetrators." Professor Sharon concluded that there can be no diplomatic solution whatsoever to the conflict. "Whenever I am asked if Israel will continue to live by the sword I tell people that either we will live by our sword, or die by theirs." "We are a foreign element to them, hated and reviled, and the reaction to Jewish presence in the Middle East will always be one of denigration and hatred."